Christmas is fast approaching so for the next few blog posts coming your way hopefully in quick succession these will give you some gift ideas and you can treat yourself of a loved one to some fab new treats this Christmas. 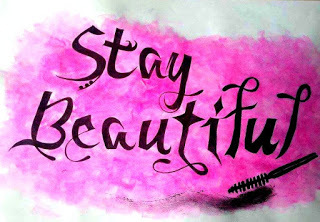 Of course mine will be beauty related because that is where my big love it of course. The first of my two posts will take a look at two Irish brush companies, taking over my bedroom as I just have to have them all and at this stage, I have made a really good stab and my collections. Today we are talking about Nima Brush by Niamh Martin. If you haven’t heard of Nima before…Where are you? 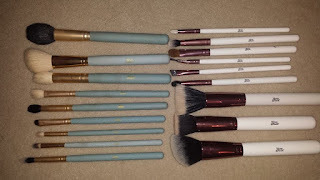 There are so many posts including the words Nima on my blog so log onto www.masteringyourmakeup.blogspot.ie and take a look in the search bar and you’ll see the brushes everywhere. Today’s post is both an information post and also a review/pointer post on my behalf. 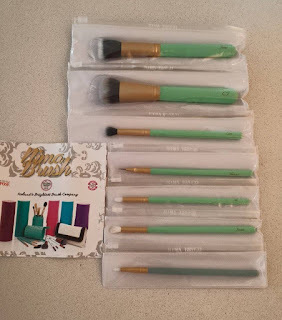 I have compiled this review before so now I am adding to it as I have tried new brushes from the Artistic collection and you can see which brush best suits your needs this Christmas. So let’s get started!! The pricing on the brushes is also a huge bonus, they range from €10 for the smallest to only €22 for the largest brush in the Artistic Collection which we are looking at today. You can view all the Artistic range and every other product Nima Brush have on their website HERE. There are now a whopping 26 brushes in the Artistic Collection with the latest additions only added in the last couple of months. How do they look? The duck egg coloured handle and gold ferrell is just beautiful. Niamh is an extremely stylish lady and not only has she picked her favourite colours for the brushes, she also chose the material on the handle to ensure a better grip for the user, your brush won’t slip or fall and still looks really pretty. I think even better than the colour of the Artistic collection is the sweet fact that Niamh has named each one of her brushes in the Artistic collection after a lady in her life, friends and family they’re all in there. The Artistic Collection brushes have had little make overs as time has gone on, changing the shade of the green and also the font of the names. Niamh is a true perfectionist so it’s no wonder she won’t stop until she is 100% happy. Tara- Angled contour brush. 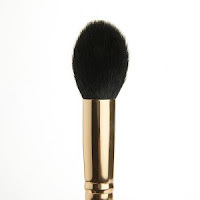 This brush can be used to contour the face by applying a shader product underneath the cheekbones and pushing the colour into the desired area. This brush can also be used to apply blush onto the cheekbones. Rock the brush back and forth from the middle of the ear straight across to the side of the eye, no lower than the nose. I love Tara! She was the first brush I bought and she has since lived in my hand. I do use my Tara brush for contouring almost every day. The only time I don’t use Tara is if she needs a clean and I swap for the BCC F104 brush. I really like how soft the brush is, how it easily picks up product and can be used to create beautiful face shaping. Emma- Concealer Brush. 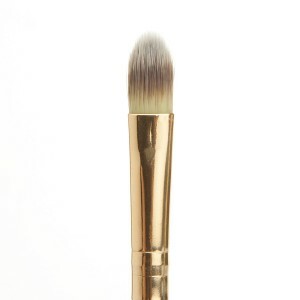 Use this brush to softly pat concealer onto the inner corners of the eyes or onto any blemishes on the face. Emma I used to shape around my brows once I have them filled in. It has quite a thin head and that makes it very easy to run under my brow and sharpen them. Nichola- A dome shaped eye blender for working into the socket line of the eye to create a ‘smokey’ blended contoured eye. Pick up shadow on the tip of the brush and work into the crease of the eye. Holding the brush horizontally, rock the brush back and forth across the socket line, following the shape of the eye. Circulate the brush to help blend out and diffuse your shadow. After using this brush for the first time I was cursing myself I hadn’t bought it sooner. It is essential for a decent eye look. This combined with my beloved E25 from BCC are a perfect match for my eye shape. 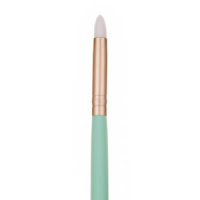 The Nichola is a brilliant done shaped brush which works into the crease with a breeze. I like to use this as my clean blender brush because it moves product easily around the eye and doesn’t leave a single shadow line. Blaithin- Precision Blush Brush. 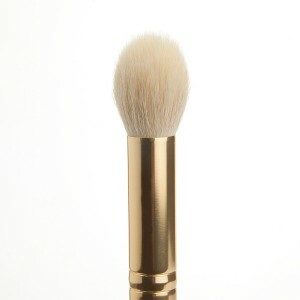 A domed pony hair brush which can be used to either apply blush to the apples of the cheek or to shade or highlight areas with the fine tip. 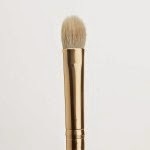 If applying blush, pick up product on the side of the brush and sweep it across the cheekbone. If highlighting or shading pick up your product on the tip of the brush and work it into the desired area. Awh this baby is so lovely; I do use it for blusher but not my strong coloured blushes. I am still a little afraid of this brush as I am only using it a number of weeks. It is a really big soft and fluffy blusher brush but wow it does a good job at picking up product. I think this is slowly creeping up on my love of Tara but I’m not sure it’ll overtake it just yet. It’s such a lovely brush and I think if you were to start with a face brush. Keep this in mind for sure! Wendy- This beautiful goat hair contour brush is perfectly tapered to fit into the contours of the face. Large enough for sculpting under cheekbones but tapered enough to a fine point to highlight the smaller areas of the face. When I bought the wendy, I was so sure I’d use it as most other bloggers I’ve met and use it for the contour of my cheeks but for me it’s just not working that well. 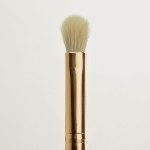 I don’t think there’s anything wrong with the brush, I think for me I am so familiar with the Tara and so used to the motions that I use when contouring that this is more comfortable for me. What I do love using the wendy for is to highlight. The brush is so soft, you only need a little product and it glides onto the skin. It’s a really cute brush and maybe in time will be used for contouring. Lisa- Duo fibre crease blender/concealer. Use this brush to apply concealer quickly and seamlessly into the inner corners of the eyes. 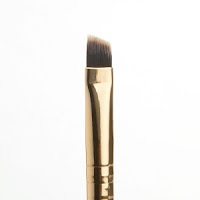 You can also use this brush to blend shadow into the socket line when doing more detailed crease work. The extremely fine tapered finish to this brush allows you to get in with fine detail work ie. ‘Cut crease’ look. Lisa, an odd shaped brush for me to use but I have found a fave use for it nonetheless. I like to use Lisa for applying an eyeshadow base to my eye lids. This may sound odd but I’m useless with my fingers, I find when I pat concealer/base to my lids I can tend to use too much so the Lisa is perfect for quick movements to get just the right amount onto my lid. I got this when the Patricia was sold out and I’m glad I tried it. Becca is a another great eye brush from the Nima Artistic collection, it’s perfect for packing on some lid colour or using pigments. I don’t know what else to say about this brush, if you’re a BCC lover then I would say it’s similar to the E24 but I do feel the Becca is a little softer so I like how comfortable how it is to use on the lid. It holds product well and washes really well also. Sometimes your lid and foundation brushes can be the worst to clean. Debs- A crease blender finely tapered at the tip to get right into the contours of the eye and effortlessly soften shadow seamlessly. 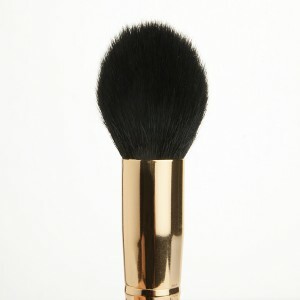 Using goat hair this super soft brush will apply your shadow effortlessly. Another beauty, and please do remember this is not a sponsored post but a really honest opinion of Niamh’s brushes, she has done an outstanding job at creating really good tools for makeup lovers. 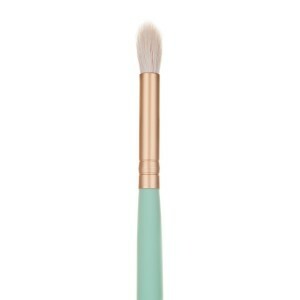 I really like Debs, similar to Nichola it is used almost every day (when it’s not being cleaned) so I would highly recommend this brush if you are looking for something to help blend out shadows on the eye effortlessly. I also agree with the description that the tapered end aids you applying colour into the inner corner without hurting or poking yourself in the eye, which I have done many times! 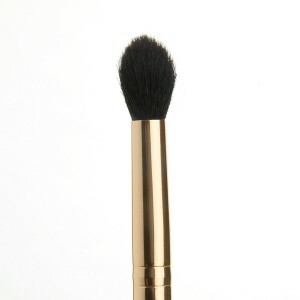 Ollie- This brush is used to create the perfect smoky eye look. The short round dome shaped head is perfect to use for shadowing and smudging around the lash line. Also can be used for densely shading and blending on the eyelid. Ollie is such a handy little brush to have for smoking out your under eye area. It’s soft and gentle on the under eye area which again can feel quite sensitive at the best of times. Jennie was a very welcomed addition to my collection and I think if I’m honest, more so for the lady it was named after. I get on so well with Jennie, I could see she was bursting with excitement and pride at the thoughts of her having a brush named after herself that no matter what the brush was, I was going to buy it. The morning that the new brushes were released, I was straight online to stock up on some new brushes. I think this is what happens when you love a company, you just want to have all of them and you really want to support all the hard work Niamh puts into her business. I really like this blender, it’s so easy to use, doesn’t drag on the eye at all and is a real winner in my books, It’s deffo a brush I have been reaching to a lot lately. Erin- Fan Brush. 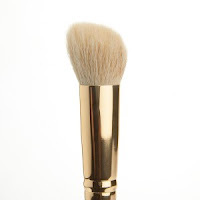 This brush has many uses: Use to sweep a sheer application of blush onto the cheekbones. Use to highlight above the cheekbones or any desired area you’d like to highlight. Use to shade under the cheekbones or any desired area you’d like to shade. Use to sweep away fallen eye shadow from underneath the eyes when creating a stronger eye. This was not a brush I thought I’d want at all, pretty much because I don’t understand what a fan brush is for. I saw a few beauty bloggers using them to apply their highlighter, I was totally convinced of this because I like to pack on highlighter, especially for a night out, I’d give any disco ball a run for it’s money but still…I love this! Not for sake of it but this brush is not like other fan brushes, it’s extremely thick and dense so it picks up loads of product and then because you have it in the shape you want already, it means my highlighter doesn’t go everywhere and it actually looks right and bright all at the same time. Ali- Synthetic Pencil Smudge. Use for creating defined liner or a smudged effect along the lower lashline. Use with gel, liquid or cake liner across the upper lashline to create a smooth liner effect. Use on lower lashline of the eye with gel liner or powder shadow to get a stronger ‘feline’ effect. I think for me this is the brush I love the least, there’s nothing wrong with the brush at all and it works for placing highlight in the inner corner of my eye really well but I just don’t have the confidence to use in other ways like it says here. Myself and liquid liner do not get on, gel liner and I have a love hate relationship also so I’m never sure what brush to use, what one will give me the less likely mistakes. It is 100% going to be a new year’s resolution for me to practice more of the detail work in my makeup, especially working under the eye area. Danielle- Angled Brow/Liner. A fine angled brush which can be used to both define the brows when working with shadows or gels or can also be used to line the eye. There is nothing bad to say about this brush…I use it in my brows and I love it!! 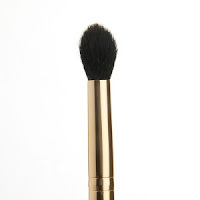 The tip of the brush is lovely and thin so you can work with cream or shadow brow products. I really love this brush and was delighted to finally own it. Rosie-Tapered Natural powder. 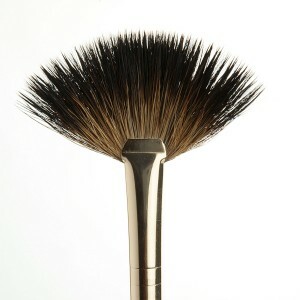 This pony haired large tapered powder brush is designed to pick up product and place it onto the skin flawlessly. Large, precisely shaped and super soft! This is the mother of all the brushes! It’s true… it is the mother of all brushes, amazing! It’s just huge and soft and glides powder over your face and makes you feel all warm and fuzzy on the inside. It really is a beautiful brush and at the top of the price category still at only €22 it’s a must have for the lady who likes her face set perfectly. 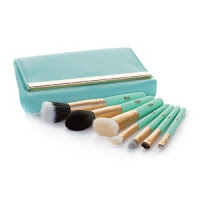 Lastly I have to mention the The Limited Edition ‘Girls on Tour’ Travel set – €55. 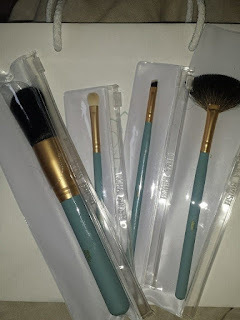 If you are not someone to buy brushes separately as well as being able to bundle your brushes on the website, there are other sets you can buy from €45 for 8 of the small brushes. 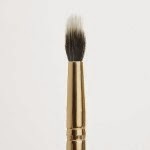 I recommend taking a good look around the site and deciding what you like as to buy in a bundle will save you more cash for extra brushes so it’s win win. 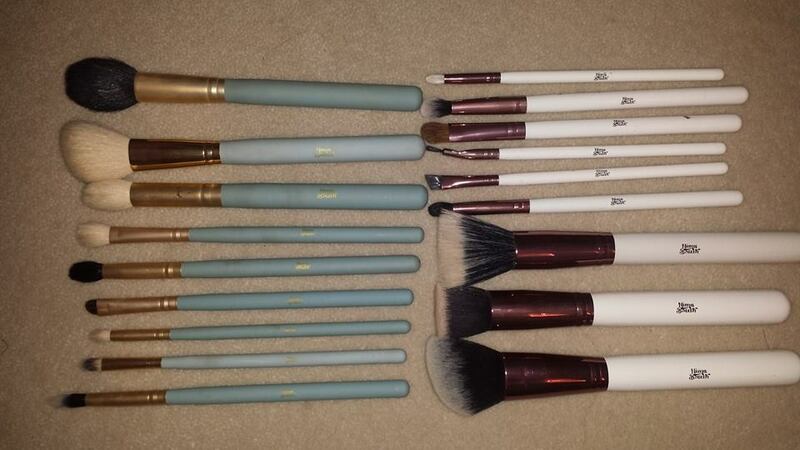 The Girls on Tour Travel Set includes: 7 of our best selling brushes from the Artistic Collection. Complete with shorter handles for on the go application but still with the exact same high quality standard of hair of that of their older sisters! Here are some shots of my collection as it's grown. Be sure to check out all the brushes on www.nimabrush.com and @nimabrush on Twitter. Have a fantastic time shopping, I hope you found this post useful an any questions please feel free to get in touch. Bài viết hay, đầy đủ chi tiết cho người đọc, cảm ơn bạn đã tạo blog và share những kiến thức quý báo về cách làm đẹp dành cho mọi người. Chúc bạn và blog bạn phát triển nữa.